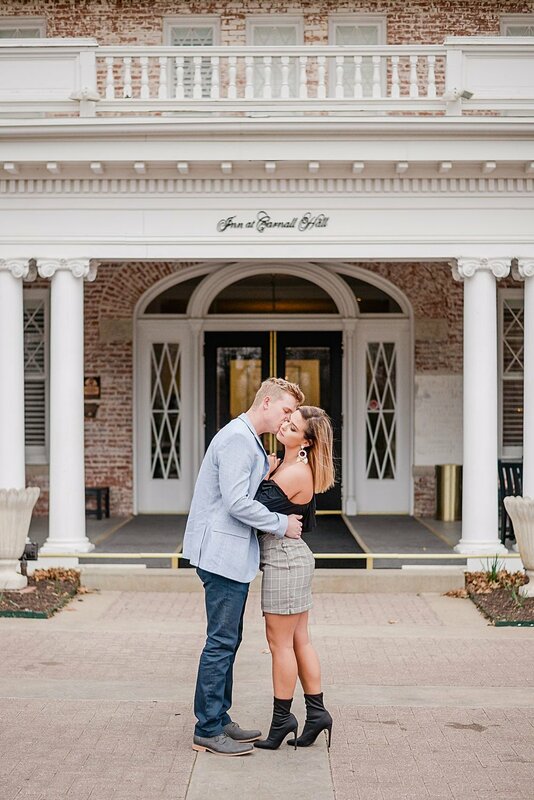 Adrienne and Brady are one of the two couples who won a free engagement session back around the first of the year. 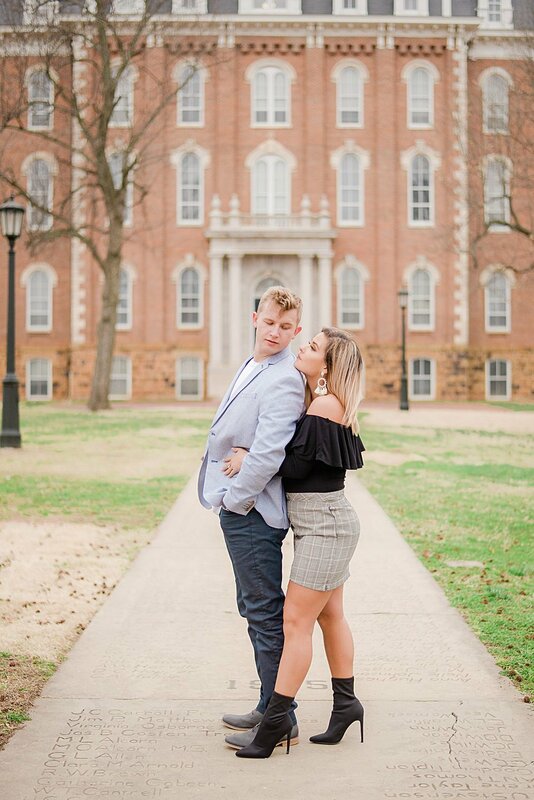 We met up at Lake Fayetteville to start their engagement session, then went and walked around the University of Arkansas campus. 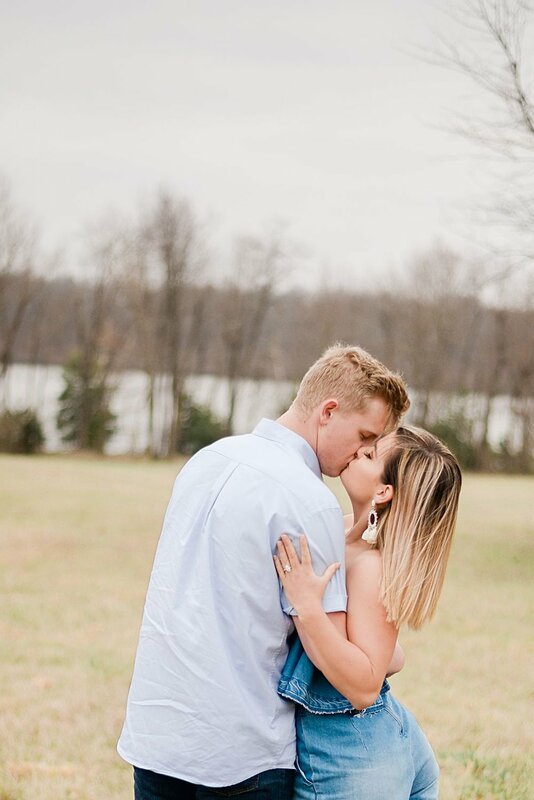 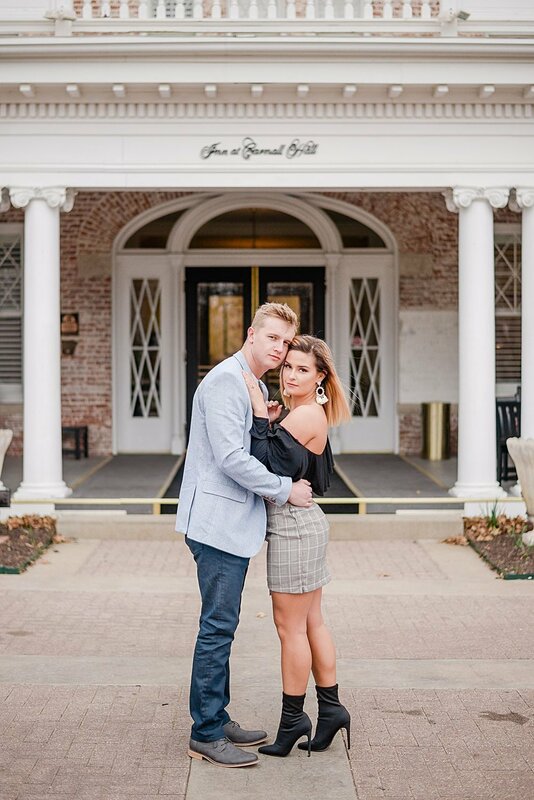 It was absolutely freezing, and the wind that day only made that worse, but they were both such troopers and I'm thankful for that because we were still able to get them some really beautiful photos!